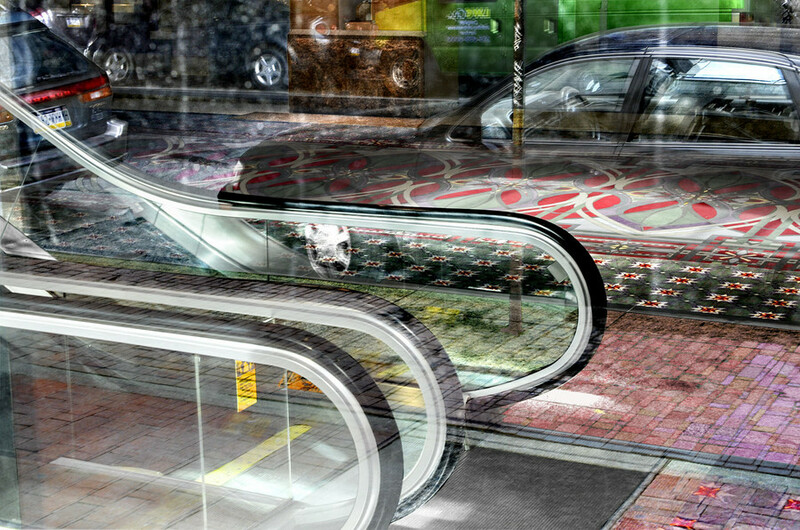 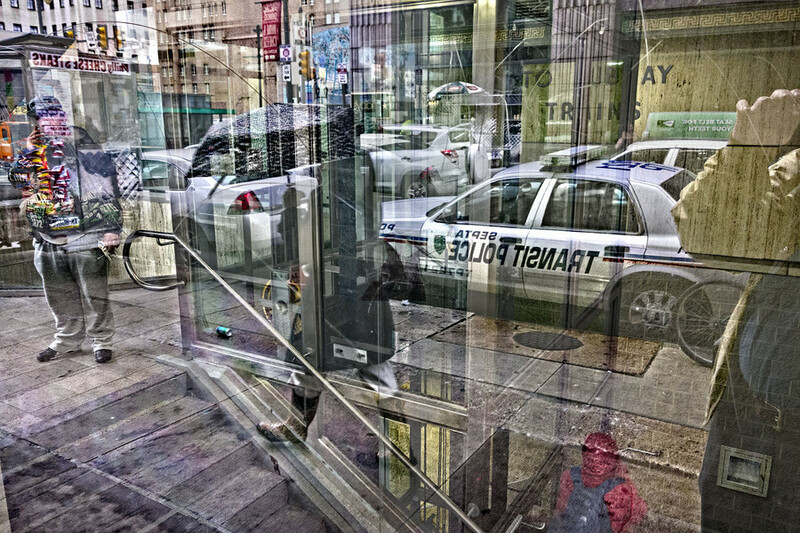 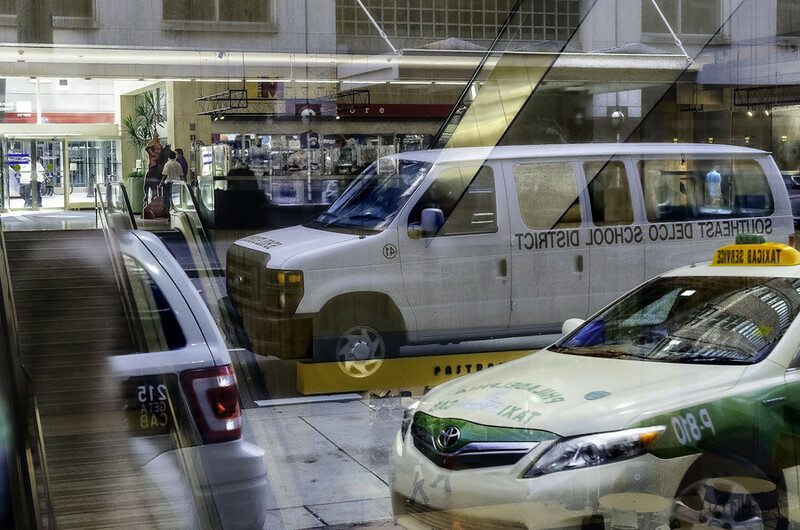 This is a series of photographs recorded through urban glass shot at an angle. 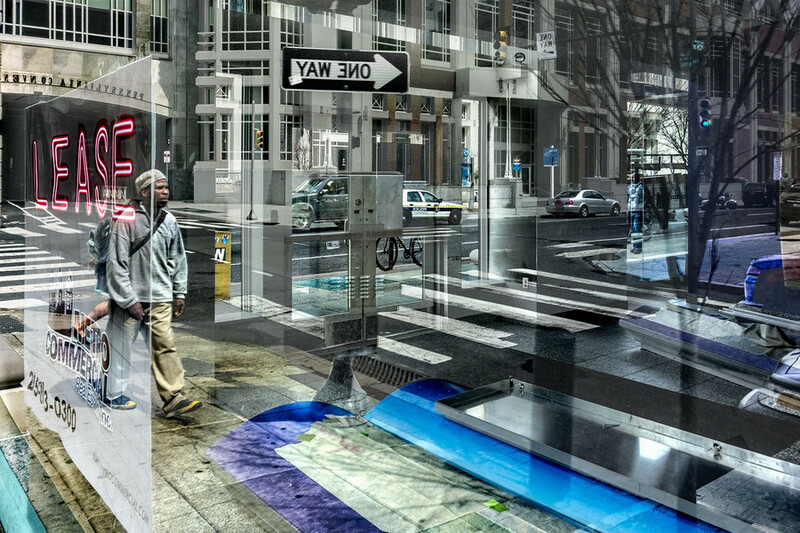 The images are a result of the reflection, refraction and diffraction of light. 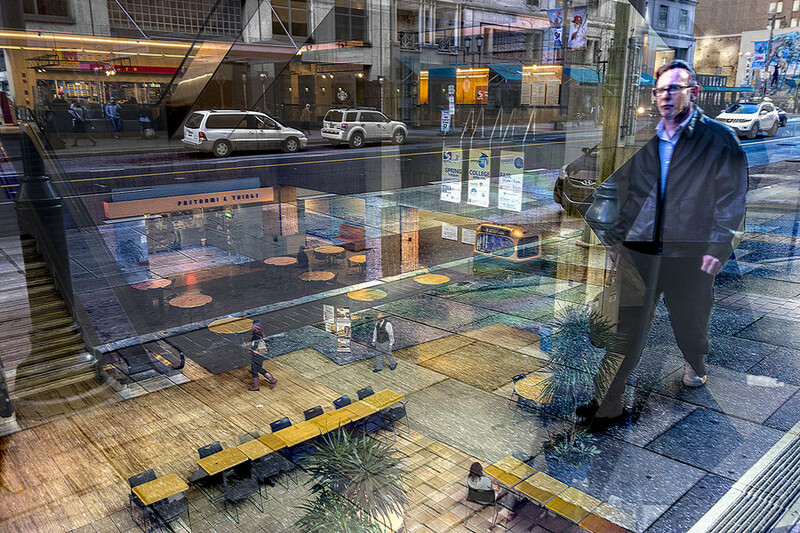 The bending of light combines views of interior spaces with a reversed mirrored repositioned external environment. 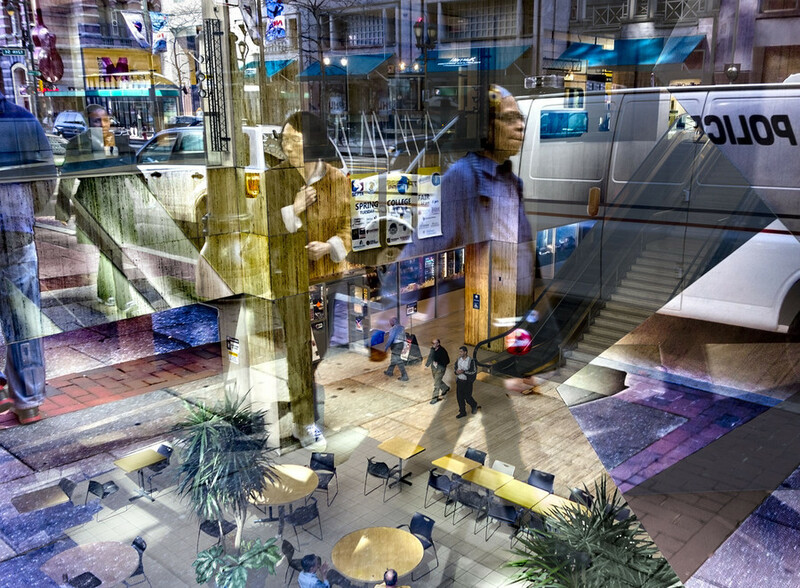 The optical collage-like effect of the light creates a fragmented sectioned universe. 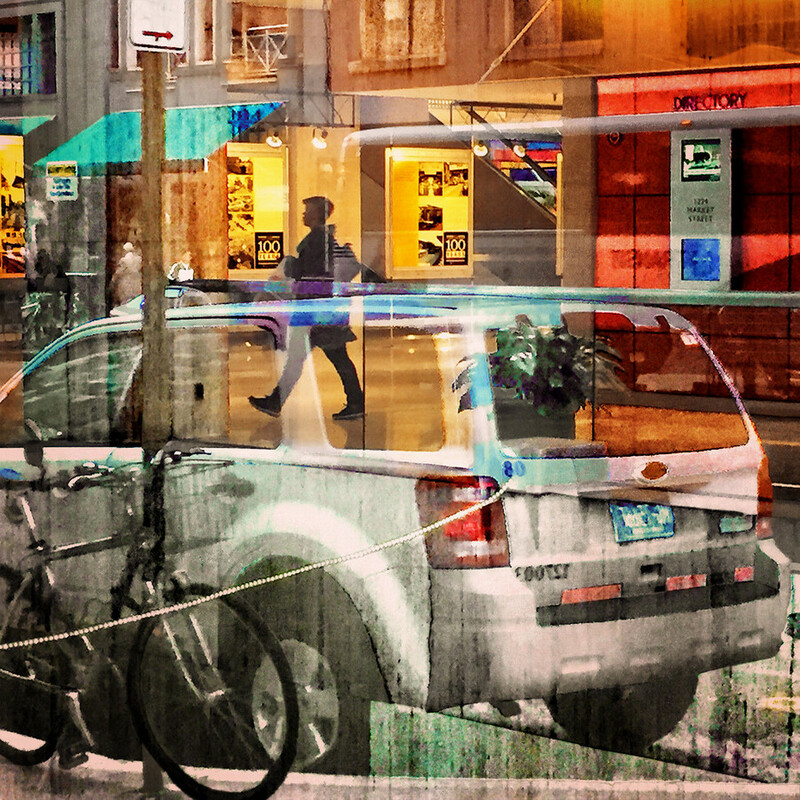 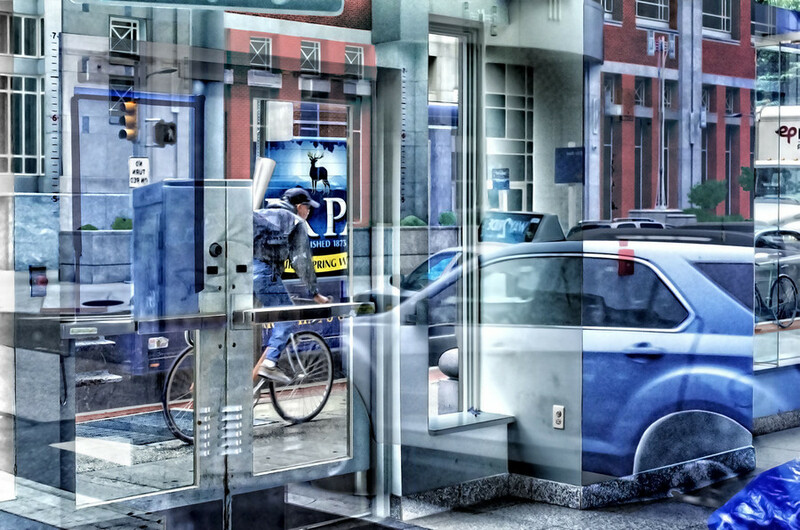 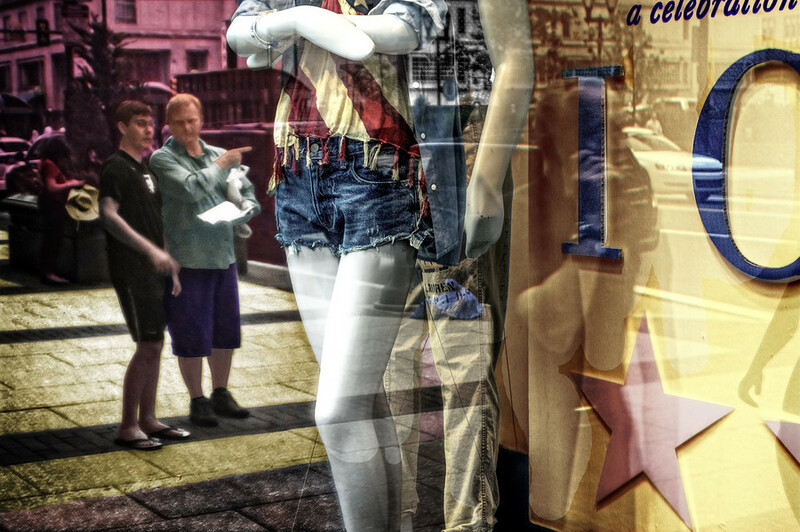 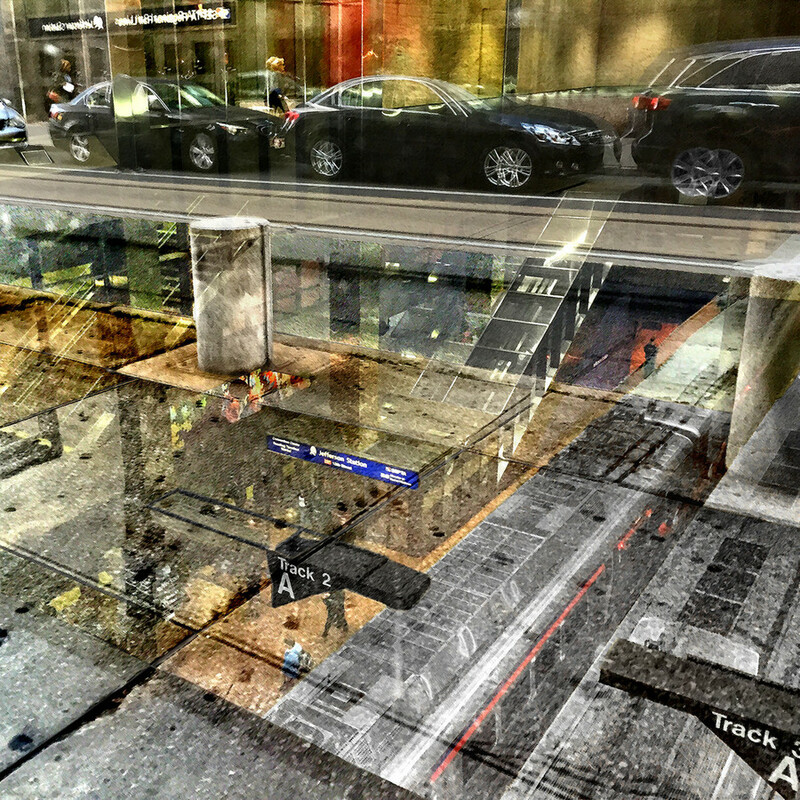 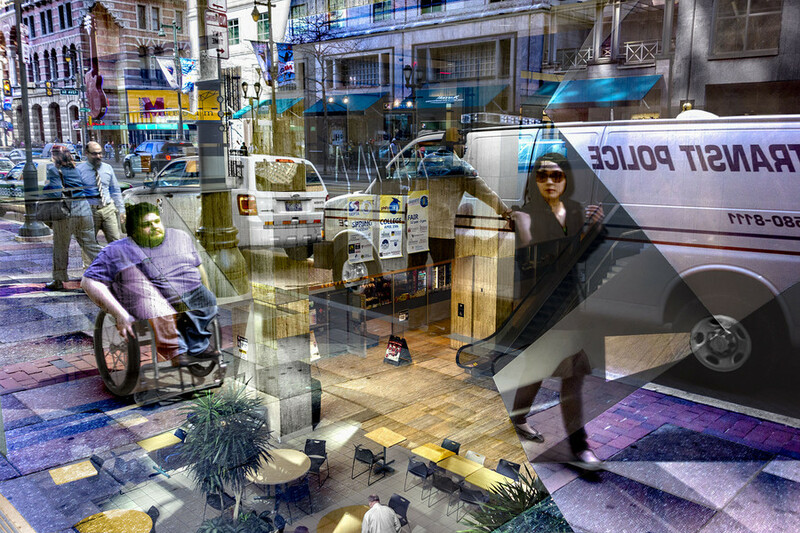 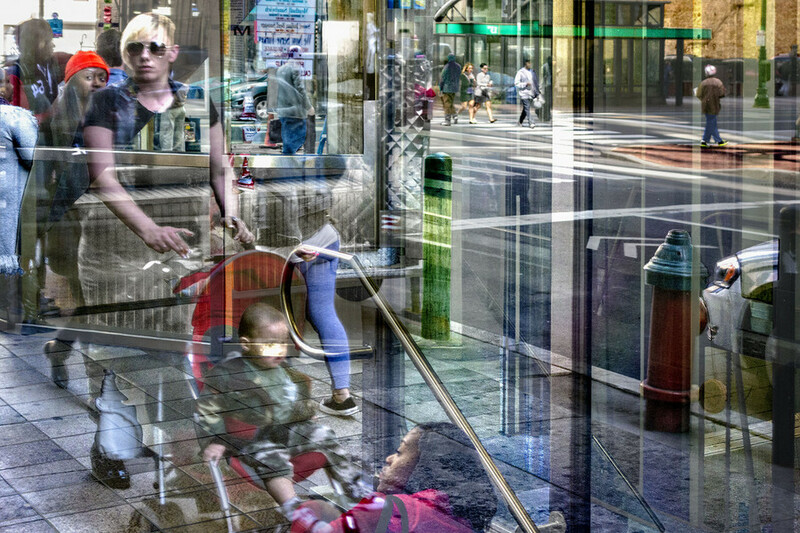 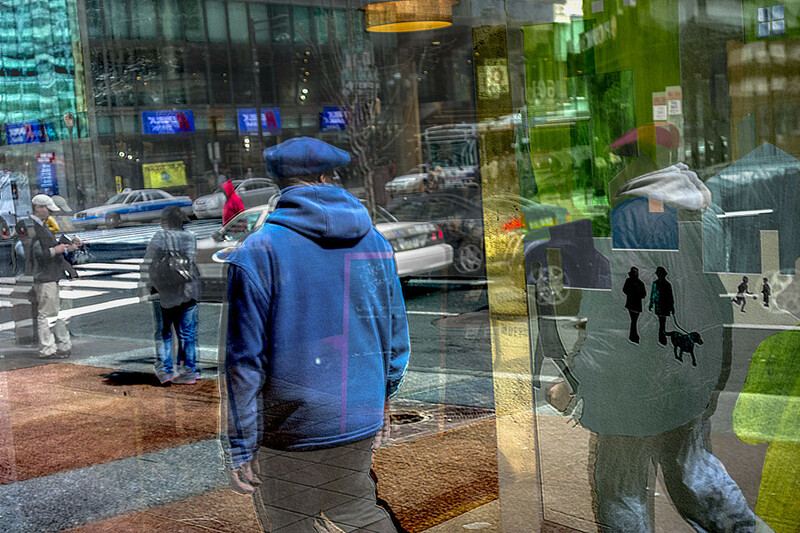 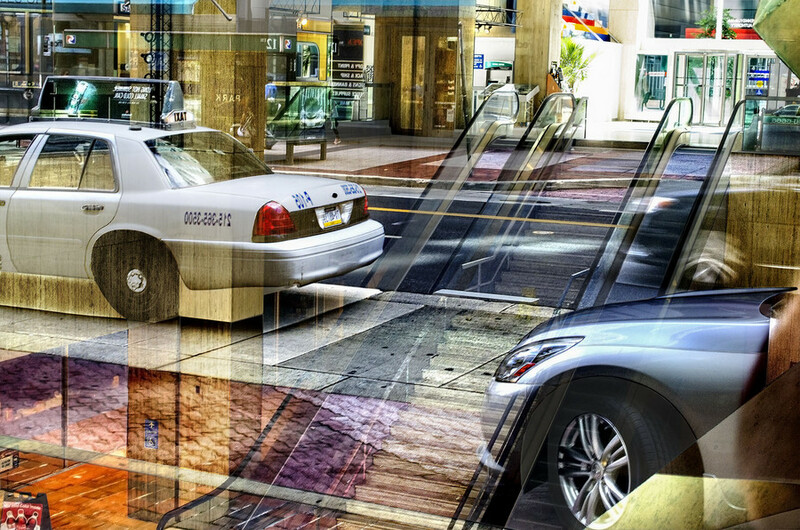 At times the photographs create a cubist-like depiction of the urban street. 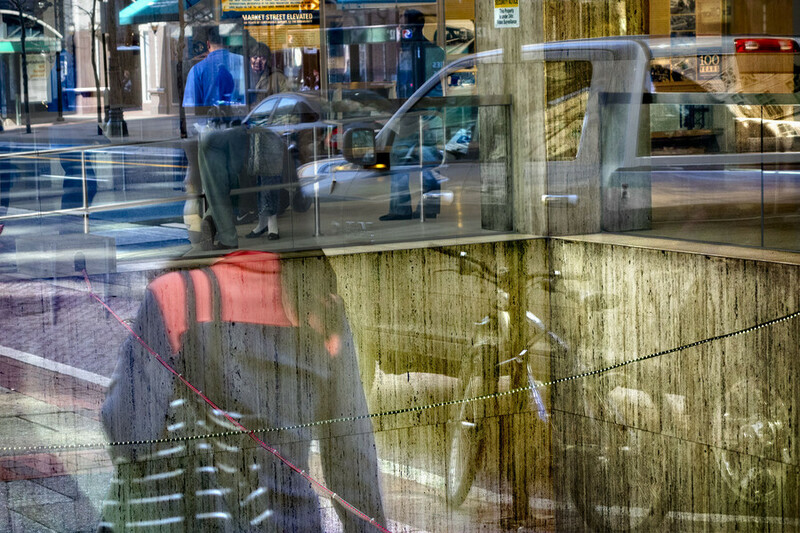 All these images are from one photograph, not a digital composite or from multiple exposures. 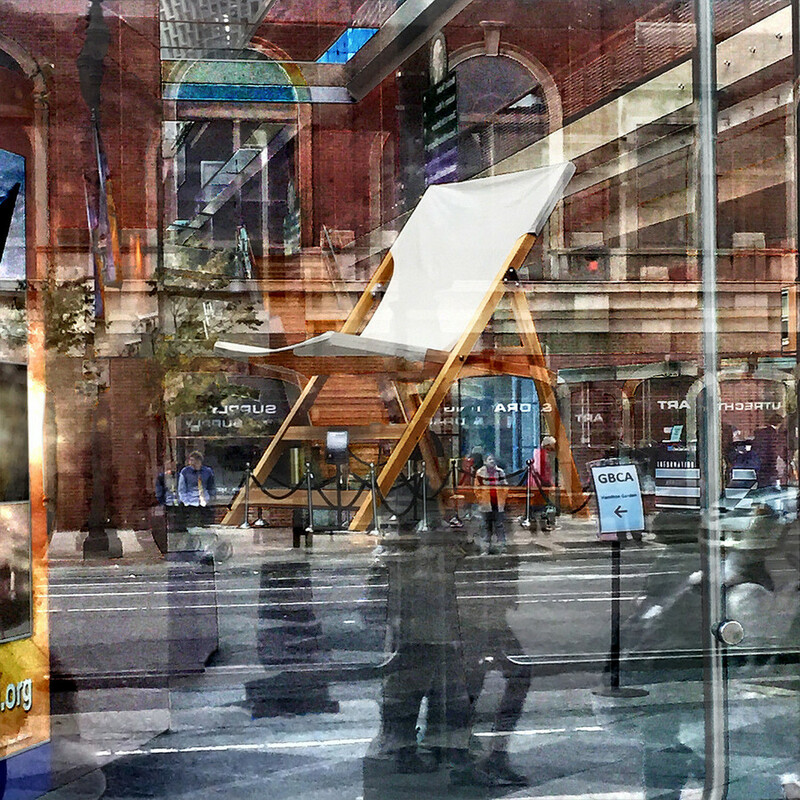 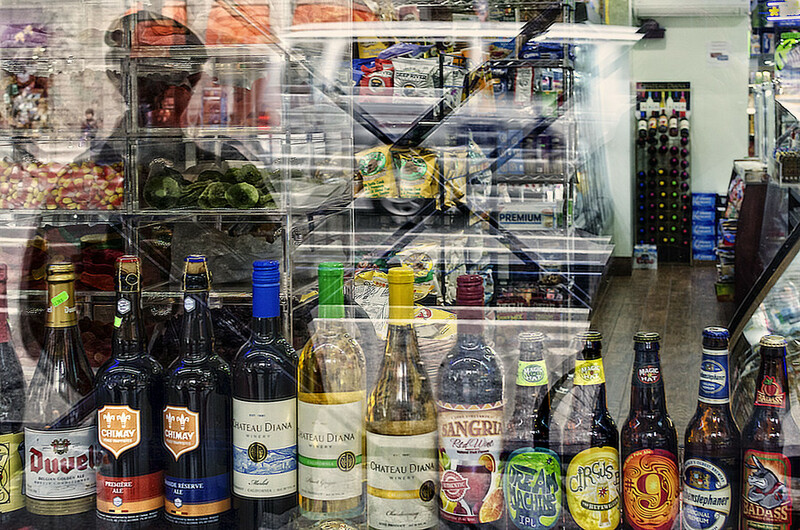 Dougs Shadow, Drinks, NYC Store - Upper east side of Manhattan, New York City, store window, 2015. 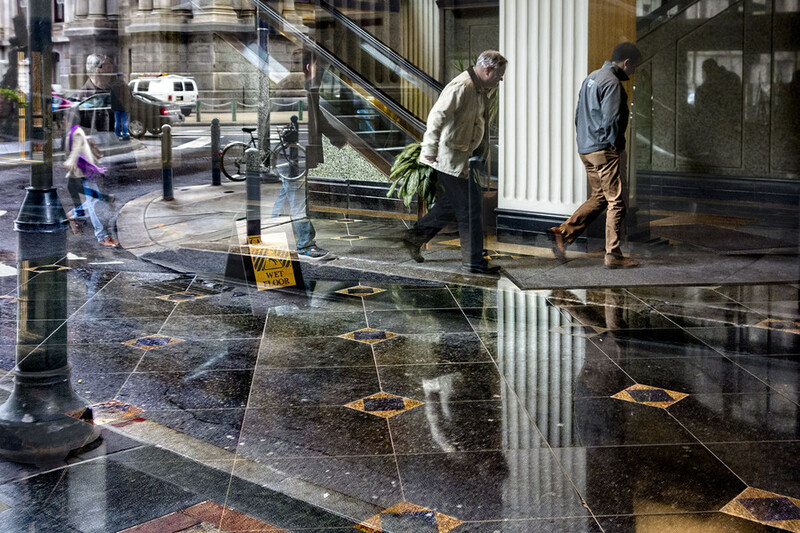 Wet Floor Street - Juniper Street, across fro City Hall, Philadelphia, PA.